During my December holidays, I used my British Airway Avios miles to redeem a flight on Cathay Dragon from Hangzhou to Hong Kong. Cathay Dragon, previously known as Dragon Air, is a subsidiary of Cathay Pacific, and a Oneworld affiliate. Cathay Dragon primarily flies short-haul and regional flights, while Cathay Pacific focuses on the long haul flights. As this was a short flight under 1151 miles, I just used 7500 miles and US$23 to redeem an Economy Class ticket for this flight. For the peak travel period in December, redeeming this flight via miles was a great deal! At check-in, the attendant saw my Oneworld Emerald status and mentioned that he was upgrading me to Premium Economy. I was quite surprised because I remember that Cathay Dragon did not have Premium Economy. Nonetheless, I was quite tired and did not inquire further. I went to the generic “First Class Lounge” in Hangzhou Airport that is used by almost all the airlines. After having some food, I went to board my flight. 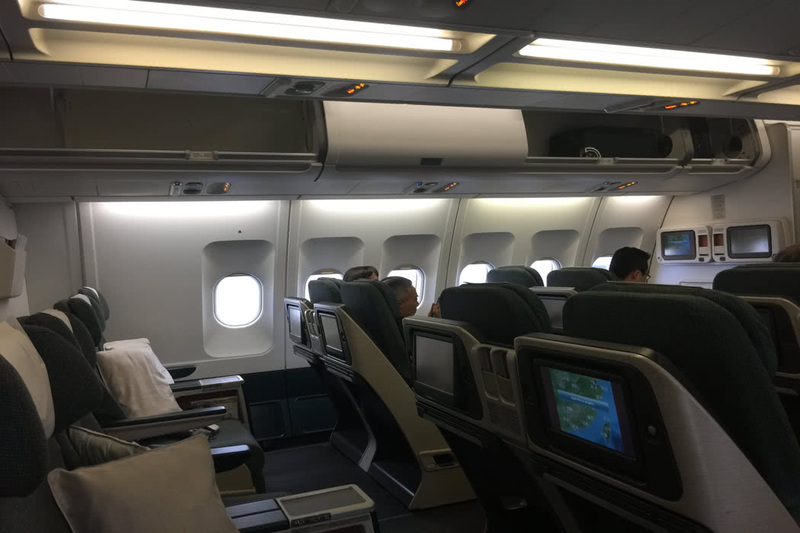 I was pleasantly surprised to find that the plane had a 3 class configuration, and I was actually sitting in “Business Class”. Of course, I use the term loosely here, because Cathay Dragon’s Business Class is actually the same seats as Cathay Pacific’s 2-2-2 regional Business Class. 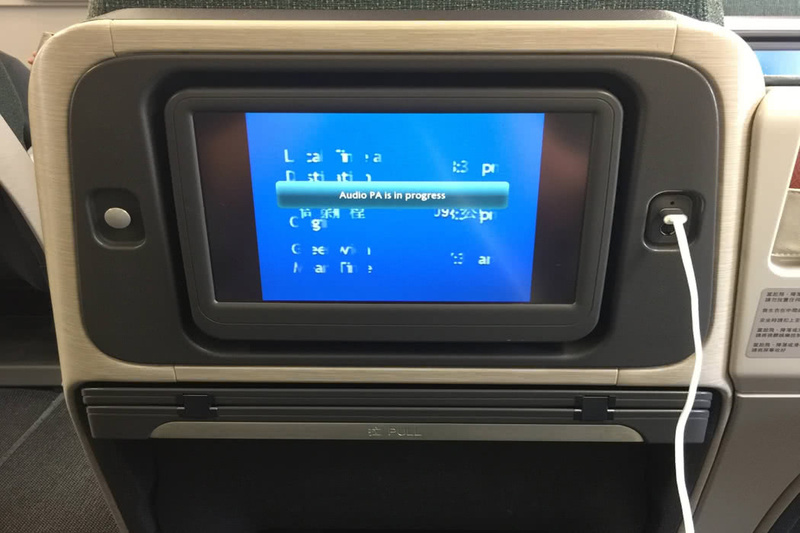 Amusingly, Cathay Dragon’s First Class is actually the same seats with Cathay Pacific’s more famous 1-2-1 reverse herringbone seats. 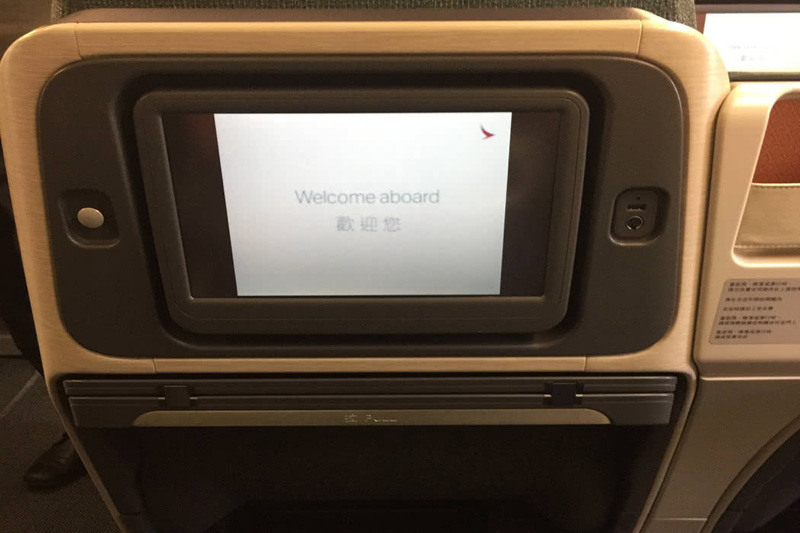 Cathay Dragon’s A330 has 8 First class seats in 2 rows, and 42 business class seats in 7 rows. There is a total of 230 economy class seats. The Business Class is spread into 2 cabins, with 4 rows being in front, and 3 rows in a smaller back cabin. For this flight, I was allocated seat 18H which was the last row of Business class. 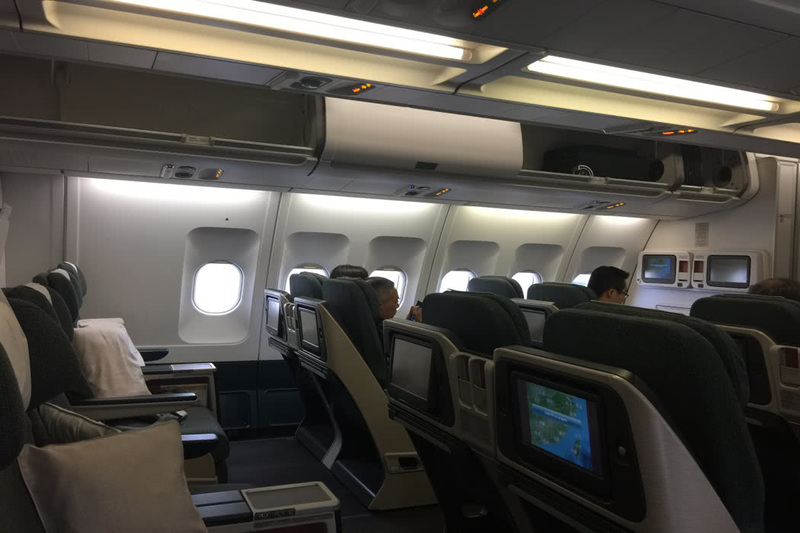 As mentioned, the seat was identical to Cathay’s regional Business Class seats. It was 20 inches wide, and had a 45-inch pitch. This meant that there was a lot of leg room in front of me. This chair, however, had a hard shell, and did not recline into a fully flat bed, unlike Cathay Pacific’s reverse herringbone seats. Instead, this seat was just a recliner seat. In front, there was a large 15-inch monitor, with a cloth hanger button on the left and a USB power socket on the right. There was also a small compartment for phones next to the USB port. On the divider of my seat, there was a small compartment where the in-flight magazine was stored. On my seat was a pillow and a noise-cancelling headset. Soon, the flight was about to take off. I browsed the in-flight entertainment system, Studio KA (as opposed to Studio CX on Cathay Pacific). The system was very much similar to Studio CX, and offered a wide variety of Western and Asian movies, tv series and music. The flight was quite empty. I reckon there were maybe 12 people in Business Class only. As I was sleepy, I just consumed a glass of water and managed to catch some sleep on this short flight of about 2 hours 30 minutes. We landed safely in Hong Kong shortly after I woke up. Overall, the flight was comfortable, and my free upgrade was a nice surprise! 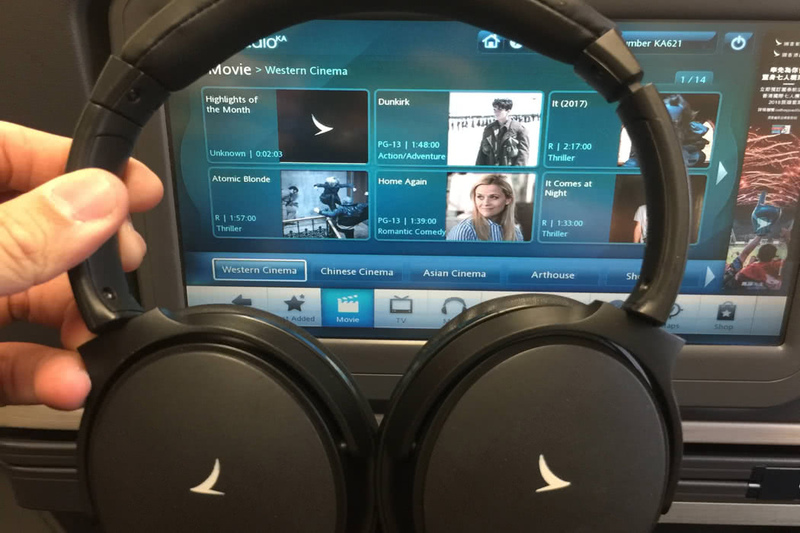 You can read my other Cathay Pacific Business Class reviews.